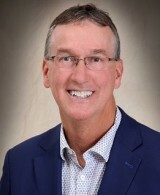 Ted Methner is a Michigan native with over 25 years of experience in the insurance industry. After ten years with Sentry Mutual Insurance and Total Insurance Group, he co-founded his first independent insurance agency, Arnouts and Mether Insurance Agency. In 2011, Ted founded Cedar River Insurance. In his spare time, Ted has built a small farm from 35 to 500 acres with his father. He enjoys snowmobiling—the best recreational activity in the world when it is cold—as well as tennis, golf and basketball.